We've all had issues with our electronics. They start glitching, will not start, and cause a level of frustration like the long bathroom line during Comic-Con. So, what is the best thing to do with your failing personal device? Your first thought shouldn't be to throw out and replace the device, as you will most likely end up spending money that you didn't need to. The best option is almost always to REPAIR your computer, cell phone, stereo, or any other electronic devices you may have. While you may want the latest device, it is almost always better to repair electronics than to get new ones. Repairing your devices frequently costs much less. On average, it ends up being around 40% of the cost of the original device. Don't forget how much a new device will cost, and the time it takes to reinstall all of your apps and settings. Make sure you check the warranty on the item as well—the repair could be free! The Right to Repair Act is a new set of laws and rules that gives consumers the right to have their devices repaired by other means, rather than forcing them to go to the manufacturers themselves. For example, a new Dell Inspiron 15 5000 costs $700. After a few years, it will likely start to slow down. The reality of this slowdown is not a sign that you need a new device, but that you most likely software bloating issues, and the system just needs to be optimized in order to bring the speed back up. A system optimization like this normally costs about $60. If the screen on the same device ends up damaged and needs to be replaced, that repair is only $150. Repairing keeps that computer working for all of your day-to-day tasks with the settings that you are accustomed to and spent time configuring. Not only is this keeping it out of the trash, but it is also keeping it out of the trash, and giving it new life. Of course. There are plenty of DIY videos on YouTube to educate yourself. However, some can be more complicated than others. If you do not have a good understanding of electricity, data management, and are dexterous, then it may be a better idea to hire a technician. Why do everything before trashing the device? Of all the species on the planet, none excel more at consuming resources and creating waste than humans. More than 50 million tons of electronic waste was produced globally in 2018, with the majority of it being sent to landfills. When left in landfills, the chemicals and elements of electronic waste such as lead, mercury, and barium leach into soil and underground waterways, causing detrimental effects to the environment and putting the food supply and water sources at risk. The reality of the situation is that all electronics produced across the globe drain resources. If we continue to repair the devices, we can also lower the production of them to reduce many of the harmful byproducts of the electronic manufacturing process. For example, over the course of its lifetime, an iPhone X will produce 79 kilograms of carbon dioxide (what an average car produces from 3 hours of non-stop driving), with 80 percent of it generated during production, 17 percent in energy needs from consumer use, two percent from transport, and one percent from recycling. Now, that may not sound like a lot, but Apple has already sold over 63 million iPhone X's, which translates to 5 billion kilograms of carbon dioxide (what an average car produces from 22,175 years of non-stop driving). But even so, if your device is beyond repair, do not throw it away, recycle it. How to properly recycle electronics. So, you've done everything, but your device is beyond saving. You, environmentally conscious person that you are, dutifully put it in your recycling bin and pat yourself on the back for helping Mother Earth, yes? Wrong. 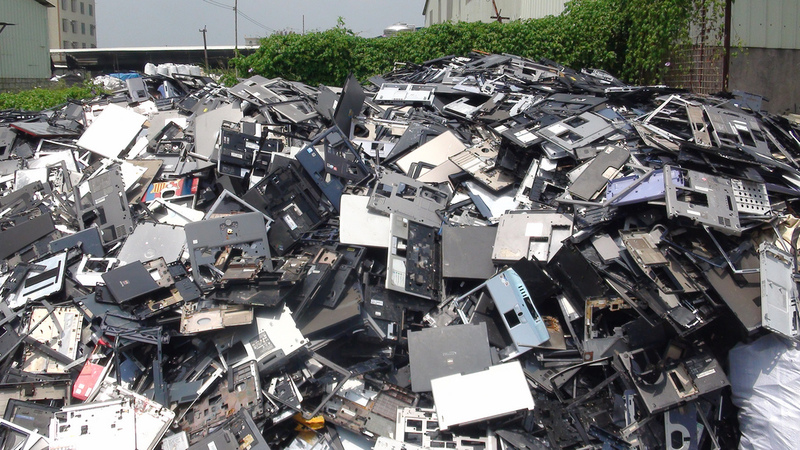 The United States has no national law for managing e-waste, leaving the issue to the states. In the state of Illinois, it's illegal to throw away or put electronics in with regular recyclables. A map of the countries that have ratified the Basel Convention on hazardous waste. Moreover, the United States is the only developed country that hasn't ratified the Basel Convention on hazardous waste, a treaty that restricts the exports of e-waste and that has the support of 186 parties. Also, according to a new survey on consumption and recycling habits, eighty-five percent of Americans are either unaware or do not care that electronic waste makes up the fastest-growing waste stream in the United States and the world. But I want the best stuff now! Together, we will fix our relationship with electronics and make our devices last longer. We will take back control of the stuff we own and enjoy innovation at our own pace. The best thing you can do for yourself, your wallet, and your environment is to repair. If repair is not an option, then recycle. If recycling, make sure your device goes to a place that is working with people that are R2 or e-Stewards certified so that you know it is going to get recycled properly. Armor is one such place. EcoATM is a great source for recycling phones by providing instant cash for used devices that previously were personal clutter at home. The end result is a more sustainable, simple, uncluttered, and beneficially enhanced lifestyle. So, now that you know a little more about electronics and the option to repair them, what will you repair first? Stop into Armor Techs today!